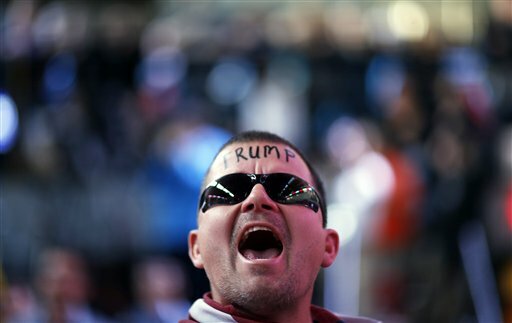 SALT LAKE CITY (AP) — Protesters clashed with supporters of Donald Trump after he gave a speech in Utah on Friday, ending a day full of presidential candidate appearances that also saw Mitt Romney intensifying his criticism of the GOP front-runner. Hundreds of people chanted “Dump Trump” and “Mr. 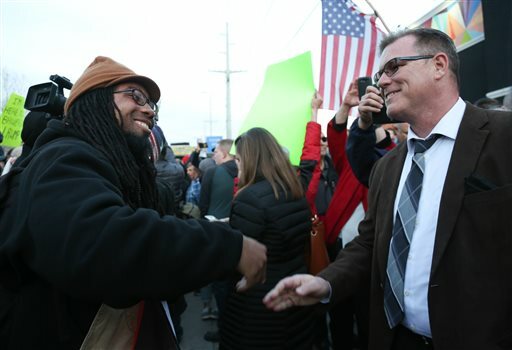 Hate Out of Our State” as police in riot gear blocked the entrance to the Salt Lake City building, after protesters tried to rush the door and got into dozens of screaming matches with Trump supporters who didn’t make into the venue. Trump said he loves Mormons in his first public appearance of the campaign in Utah. He had critical words, though, for former presidential candidate and Utah resident Mitt Romney, who said he was supporting Texas Sen. Ted Cruz in the state’s upcoming caucuses. “Are you sure he’s a Mormon? Are we sure?” he jokingly asked his crowd at the Infinity Event Center. The announcement from Romney, the faith’s most visible member, dealt a blow to John Kasich as he campaigned in the heart of Mormon country. Kasich brushed off the endorsement, telling reporters Friday in Orem that Romney is entitled to his opinion that voting for Cruz could deny Trump the GOP nomination. But the Ohio governor said the election “is not a parlor game,” and he contends that he is the Republican best suited to defeat Democrat Hillary Clinton in November. Romney, who has made Utah his adopted home, said Friday that he plans to vote for Cruz in the state’s Tuesday caucuses. He made the announcement on his official Facebook page as Kasich was speaking to about 600 people during a town hall at Utah Valley University. 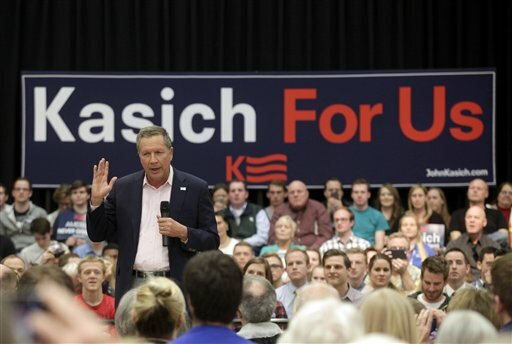 Romney has campaigned with Kasich in other states but stopped short of endorsing him. In addition to his position as a prominent member of Utah’s dominant faith, Romney is also revered in the state for leading a turnaround of the 2002 Salt Lake City Olympics. It’s unclear to what degree his endorsement of Cruz may sway GOP voters in the Tuesday caucuses. The Texas senator was already expected to have a leg up on the other Republican contenders because of his emphasis on religious liberties and backing from Utah Republican Sen. Mike Lee. Kasich’s Friday town hall was one of four events he has planned in the state over two days as part of his attempt to win over Utah’s GOP voters next week. Bernie Sanders and GOP contenders Donald Trump and Ted Cruz were all scheduled to make campaign appearances in the Beehive State on Friday and Saturday. Sanders will square off with Democratic front runner Hillary Clinton in Utah’s caucus on Tuesday. Clinton has a lead of more than 300 pledged delegates. Written by MICHELLE L. PRICE, Associated Press, LINDSAY WHITEHURST, Associated Press. Associated Press writers Brady McCombs and Hallie Golden contributed to this report in Salt Lake City. GO TRUMP! Make America Great Again! Its what they are about and stand for.